Bandy Bandy Vermicella annulata Photo E Collins A nocturnal burrowing snake. 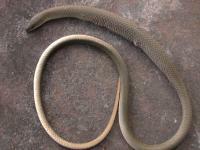 Its diet is mainly Blind Snakes. This one was found dead and without any evidence of damage. Photo E Collins A nocturnal burrowing snake. Its diet is mainly Blind Snakes. 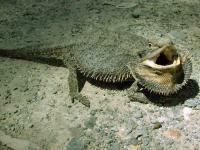 This one was found dead and without any evidence of damage. Bell\'s form of V varius TB Photo Tony Bates Tony captured this moment while on walk. 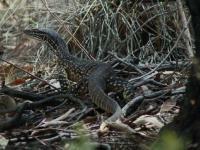 The is the rare Bell's form of Varanus varius. Distinguished by the broad cream and black banding.Obviously likes a rabbit for a meal. Photo Tony Bates Tony captured this moment while on walk. 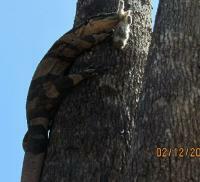 The is the rare Bell's form of Varanus varius. Distinguished by the broad cream and black banding.Obviously likes a rabbit for a meal. Brown Snake Photo N Bartlett This snake, about 2m long, had shed its skin and was basking in a depression. It slithered to a hole and when about 30cms of it went into the hole the remainder of the body was whipped in in a flash! Photo N Bartlett This snake, about 2m long, had shed its skin and was basking in a depression. 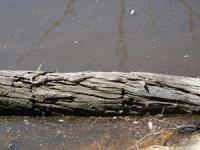 It slithered to a hole and when about 30cms of it went into the hole the remainder of the body was whipped in in a flash! 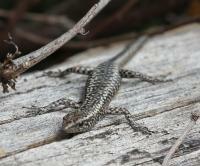 Cryptoblepharus pannosus at Yeddonba Photo Matt Campbell A small interestingly patterned diurnal lizard. 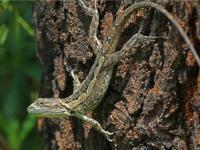 Photo Matt Campbell A small interestingly patterned diurnal lizard. 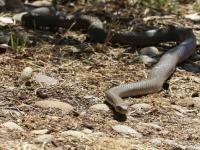 Eastern Brown Snake Pseudonaja textilis Photo J Birckhead. Colour variable.An egg laying snake.Can have dark bands along body. A fast and dangerous snake. Photo J Birckhead. Colour variable.An egg laying snake.Can have dark bands along body. A fast and dangerous snake. 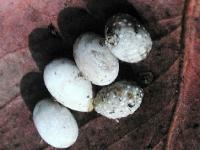 Eastern Brown Snake eggs close-up Photo E Collins, Each egg is about one centimetre long. Photo E Collins, Each egg is about one centimetre long. 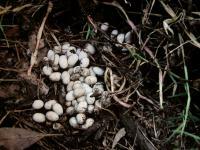 Eastern Brown snake eggs Pseudonaja textilis Photo E Collins This large clutch of eggs was under a piece of timber. I guess this clutch was laid by a very large/old individual. Photo E Collins This large clutch of eggs was under a piece of timber. I guess this clutch was laid by a very large/old individual. 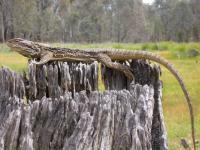 Gould's Goanna Varanus gouldii Photo E Collins Also called Sand Monitor. 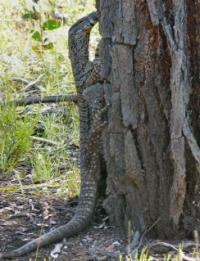 A lovely ground dwelling goanna. Makes own burrow or uses hollow logs. Rarely seen in Chiltern. 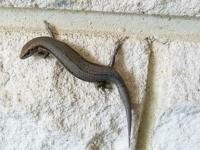 Photo E Collins Also called Sand Monitor. 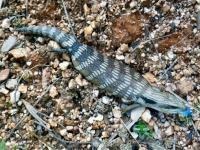 A lovely ground dwelling goanna. Makes own burrow or uses hollow logs. Rarely seen in Chiltern. 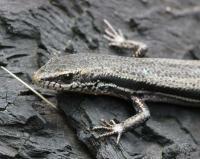 Morethia boulengeri at Yeddonba Photo Matt Campbell Note the stripe which runs along the body.Length about 45mm. Found in litter and under bark of dead trees. Photo Matt Campbell Note the stripe which runs along the body.Length about 45mm. Found in litter and under bark of dead trees. Morethia boulengeri at Yeddonba Photo Matt Campbell This full length shot shows clearly the dark lateral stripe. Photo Matt Campbell This full length shot shows clearly the dark lateral stripe. 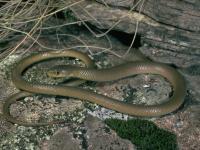 Olive Legless Lizard Delama inornata Photo Peter Robertson, Wildlife Profiles. Photo Peter Robertson, Wildlife Profiles.